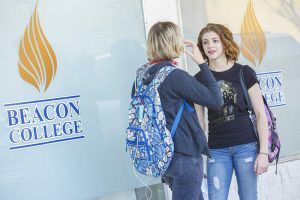 Beacon College is one of the safest possible academic environments located in the peaceful town of Leesburg. Campus Safety Services works to sustain an environment that builds trust and enhances the quality of life for our community, while minimizing criminal activity. We’re not only here to enforce, but also to assist. A campus safety officer is on duty 24 hours a day and can be reached at 352.638.9799.